GENCO has been manufacturing specialty ammunition for 31years. Products include custom items to order, SAAMI spec metalic, full weight, plated brass case, appropriate projectile “ActionProving Dummies”. Black Action Proving Dummies are safety training dummies used by police departments and gunsmiths to simulate factory ammunition. 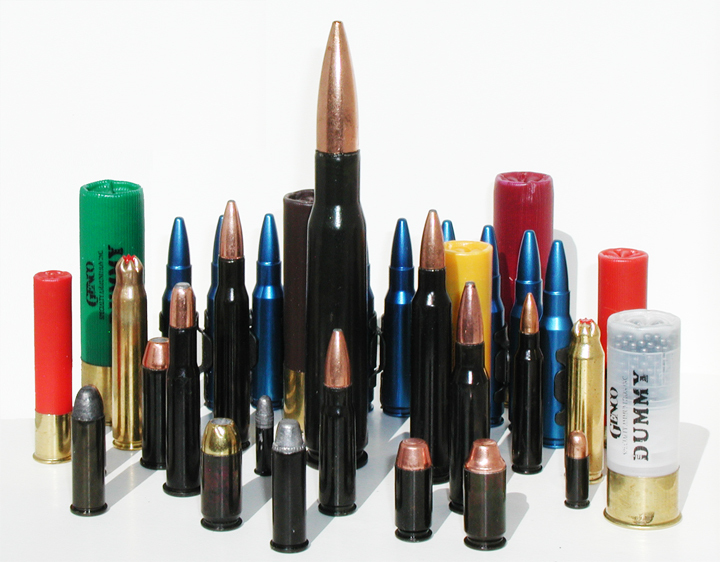 They are manufactured using factory brass with the appropriate lead, FMJ, or HP projectile. Dummies are available in any caliber for which commercial brass is available. The listed calibers in our product section are kept in inventory, however due to demand some items may take up to 2 – 3 weeks for delivery. Dummies are TRAINING ROUNDS, Non-Firing for firearms familiarization, Hunter Education training, TSA training. GENCO also offers custom blanks for specialty applications, refer to our product section for more information. Contact us for pricing and information on any special requirements or dealer inquiries.